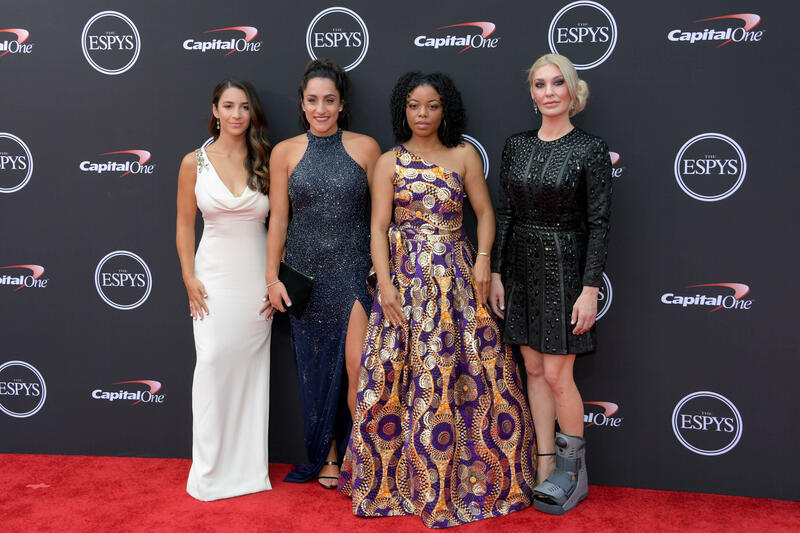 LOS ANGELES -- More than 140 survivors of sexual abuse by a former team doctor for USA Gymnastics and Michigan State University joined hands on stage to be honored with the Arthur Ashe Award for Courage at the ESPYs. Alex Ovechkin joined Roger Federer and Olympic snowboarder Shaun White as double winners. Ovechkin was in Russia with his wife, Nastya, who is 8½ months pregnant.